Two days ago, these renderings of a proposed MLS soccer stadium on Pier 40 were leaked on Reddit. This was one of the locations considered before MLS turned its focus to Queens, but setbacks there might mean the West Side plan is still alive. Excellent. 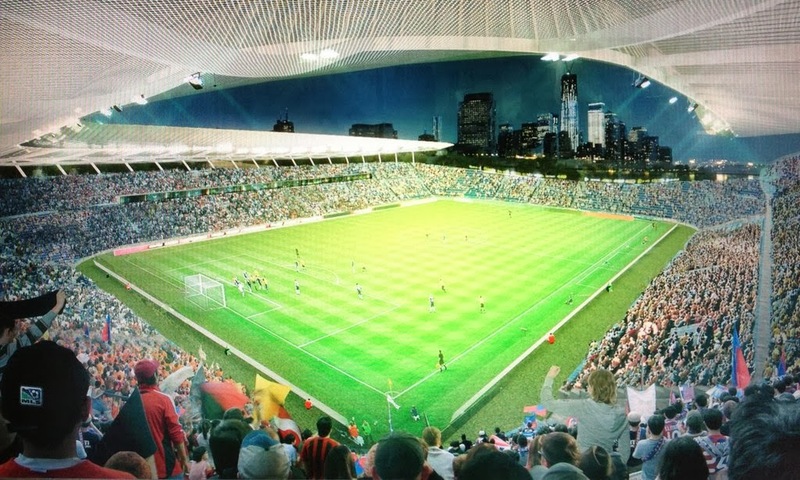 I'd put the supporters' groups in that south stand, to complete the picture. And here's a view from the West Side Highway, looking towards New Jersey. 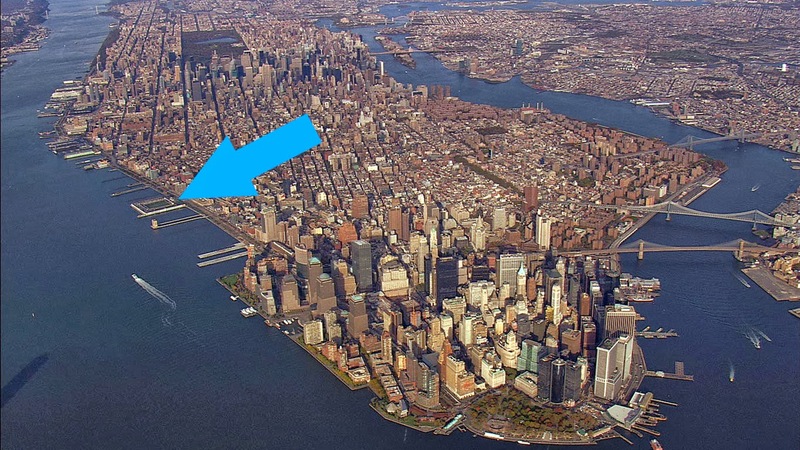 If you're not familiar with Pier 40, it's located on the Hudson River, on the West Side of Manhattan, in the southwest corner of the West Village. It is an oversized, square pier with more than 14 square acres of space. It currently hosts soccer fields, a dog run, trapeze cage and parking lots. Pier 40 is part of the Hudson River Park, which has seen a massive development over the past decade. 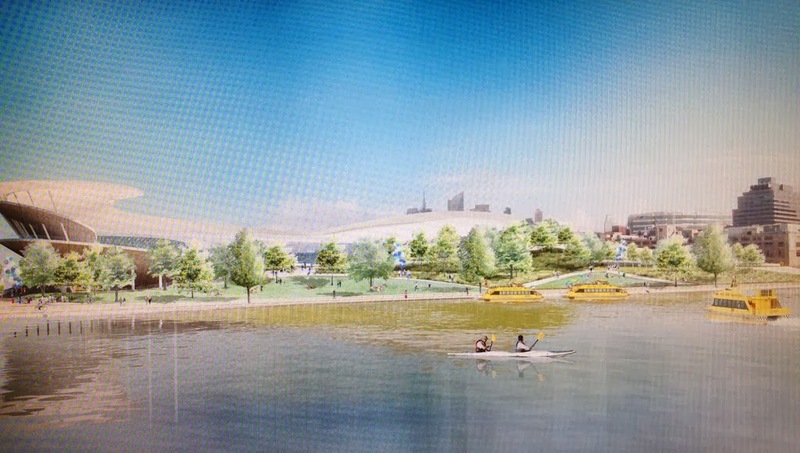 Old piers have been reclaimed and repurposed, and a pedestrian/bicycle path spans the entire riverfront from the Battery all the way up to the Harlem River. 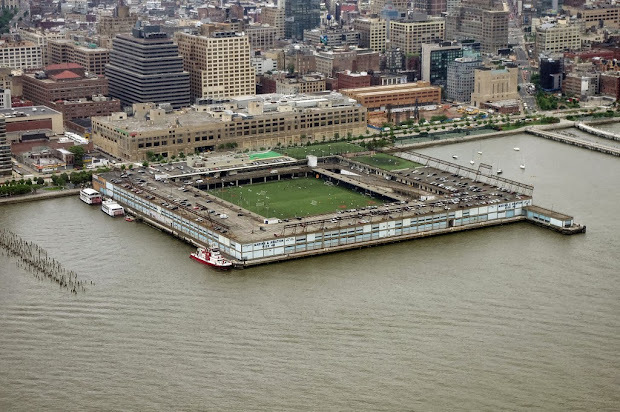 The water is a major component of life on the West Side of Manhattan, and any stadium would be integrated into the heart of New York City. 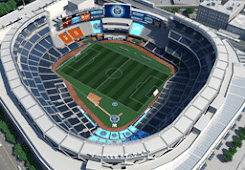 There are two major issues I see, as someone who lived near the Hudson River for many years: I don't know how well a soccer stadium would be able to handle car traffic; and it's important that the public space not be completely handed over to a private entity. MLS would have to share its treasure with the locals. If those concerns can be addressed it would be an amazing site. 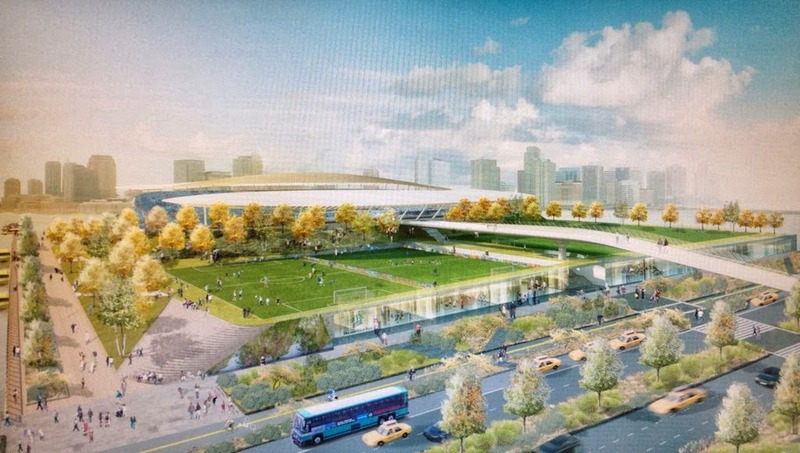 Breathtaking views, lots of space on which to build and just blocks from the 1, B, C, D, E, F and M subway lines as well as the PATH train from New Jersey. 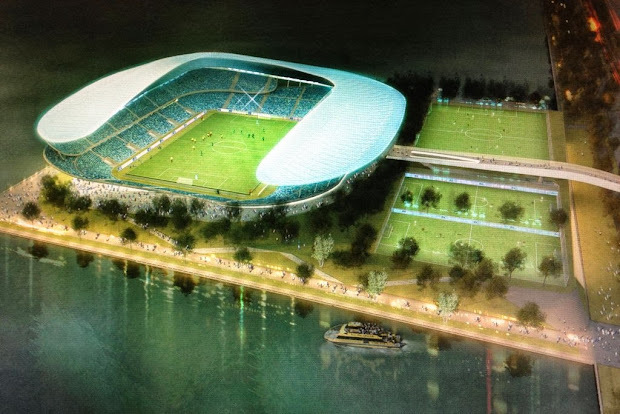 In the past, it has been speculated that the Dolans might try to kill this proposal as they did the Jets' West Side Stadium project in 2005. They saw any new venue as a threat to Madison Square Garden's lucrative concert income, and spent a lot of money to make sure they didn't have the competition. This time, however, they're fighting just to hold on to the lease in their current location, and I doubt they'll have either the time or resources to spend opposing this plan.